A Costly Catch-22 In States Forgoing Medicaid Expansion : Shots - Health News In states that don't go along with an expansion of Medicaid under the health overhaul law, many low-income adults will be caught in the gap between federal and state standards for eligibility. Outside the office of Utah Gov. 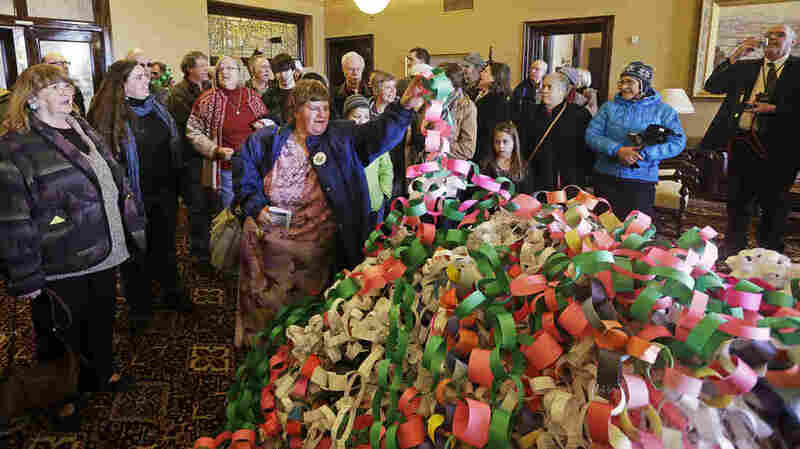 Herbert Friday, Betsy Ogden lays paper chains on a pile symbolizing uninsured state residents who would be covered by a Medicaid expansion. They can't take advantage of the law's widened eligibility standards allowing individuals with incomes up to 138 percent of the federal poverty level ($15,856 in 2013) to sign up for Medicaid. But they're also not likely to qualify for subsidized coverage on the new state-based health insurance exchanges set to open in January because, ironically, they're too poor. Premium tax credits will be limited to individuals with incomes between 100 and 400 percent of the poverty level ($11,490 to $45,960 in 2013). Without financial help, coverage is likely to be unaffordable for many people living below the poverty level, says Edwin Park, vice president for health policy at the Center on Budget and Policy Priorities. More than 11 million uninsured adults could fall into this neither/nor category, according to an estimate published by the Urban Institute last year. To date, about half the governors have announced that they want to move ahead with Medicaid expansion. Many people assume that state Medicaid programs typically cover people up to the poverty level, says Park. Although that's true for children, he says, for their parents and other adults that isn't the case. 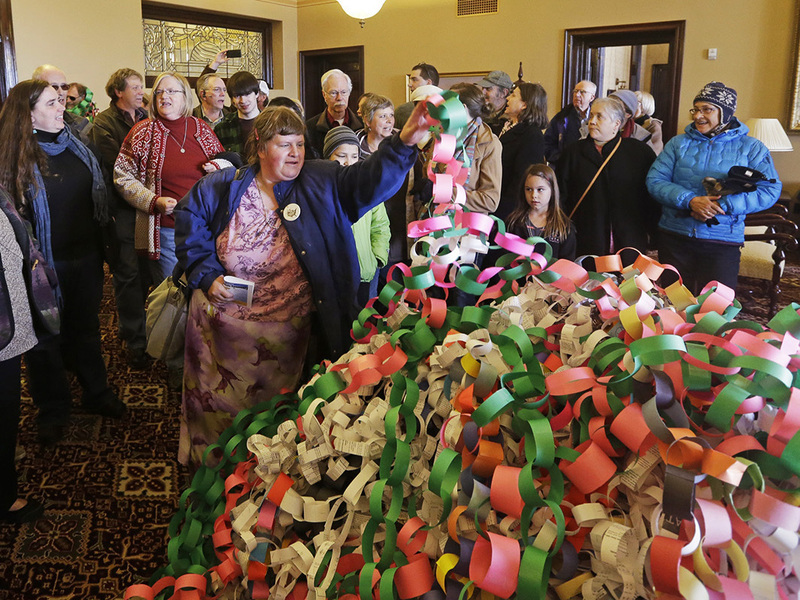 Under current Medicaid rules, childless adults are in the toughest spot. "In a large majority of states, an adult without children who's not disabled isn't eligible at all for Medicaid," says Park.